Bringing together, on one CD, some of eastern Canadas most requested and best-loved folk songs as sung by many of the regions most popular performers. 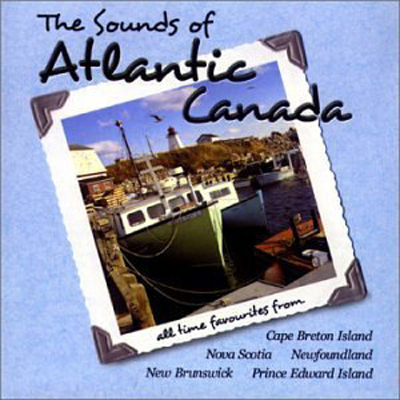 From traditional favourites such as Sarah and Squid Jiggin Ground to more contemporary classics like Sonnys Dream and Barretts Privateers, this collection serves as a great introduction to the music of Canadas east coast. Although many of these recordings have been previously released, most are now "out of print" or hard to find. One, Allister MacGillivrays Song for the Mira, is a recording by Denny Doherty, Halifaxs native son and a member of the legendary sixties supergroup The Mamas and the Papas. All four Atlantic Provinces are represented. Peter Emberley, as performed by New Brunswick duo Connie and Paul, is a traditional folk song from the Miramichi region and was the basis for a Bob Dylan composition,The Ballad of Donald White. Two of Canadas best-known folk singers, Anita Best and Ryans Fancy alumnus Dermot OReilly, offer up some Newfoundland classics and Farewell to Nova Scotia is given an interesting new treatment by Cape Bretons Rita MacNeil. Prince Edward Islanders Gordon Belsher and Richard Wood team up for an electrifying rendition of The Ballad of St Anns Reel, a song once recorded by John Denver. Two of the regions finest songwriters, Ron Hynes and Lennie Gallant, are featured and there are contributions from PEIs Barachois, the Acadian group 1755, Teresa Doyle, Mildred Small, Cape Breton favourites the Barra MacNeils and the legendary Stan Rogers.